In China, there are 85 coking coal mining areas, 27 of which are major ones. They are different from one another in coal types and quality due to varied coal-forming environments and geological movements. This report will research into these 27 coking coal mining areas from the perspectives of coal-forming periods and environments, reasons for metamorphism, resource distribution, resource quantity, coal quality characteristics, and technical requirements of large blast furnaces. 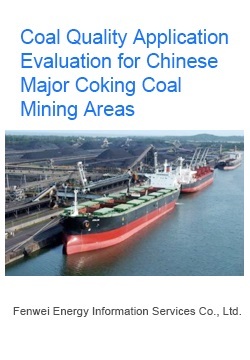 In order to produce an informative and authoritative report, Fenwei Energy Consulting Co., Ltd., has made full use of the massive data collected from coal producers, consumers and research institutions, it even collected another 1,000 coal samples and tested their lithology, coal quality, washability and coking property.